Do you love to be different? Then this bracelet/ring combo is for you! 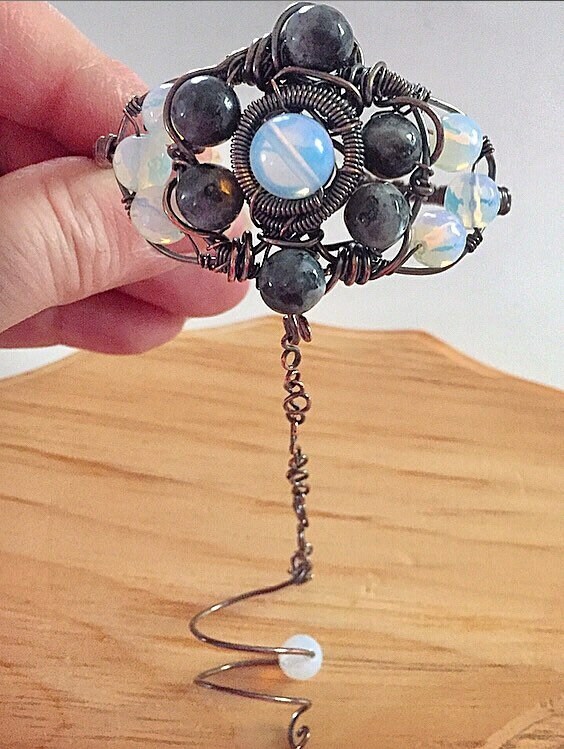 Handcrafted in antiqued copper wire, flashing moonstone and silver gray labradorite form the triple moon symbol. A handmade copper link chain connects the detachable moonstone ring. The chain attaches with a copper hook. This way the bracelet can be worn on its own!